Exclusive! 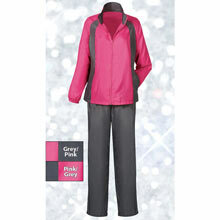 Our Slimming and Sporty Jog Set is great for your morning run or just relaxing. 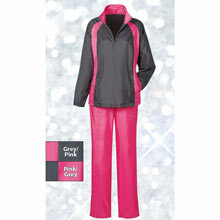 Bold, color-block design creates a slimming effect in silky soft polyester. 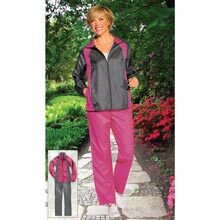 Zip-front jacket with roll collar, raglan sleeves, elastic cuffs, side-seam pockets. 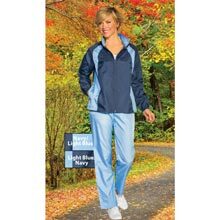 Comfy, pull on pants with elastic waistband. Machine wash. Imported. Misses, Jacket approx. 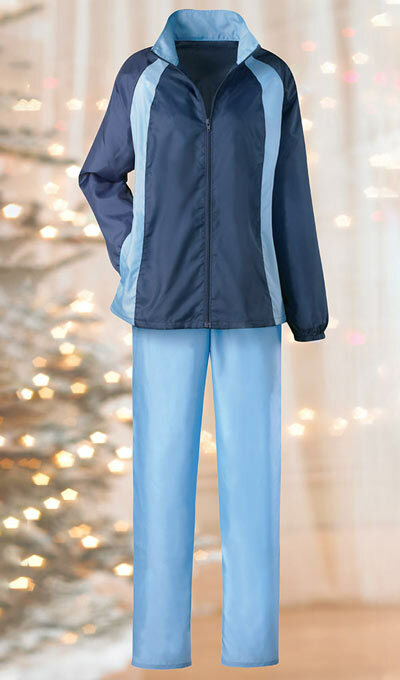 26"l; Pants, inseam approx. 30"l. Limited Quantities! 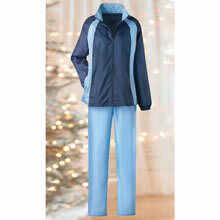 • Comfy jacket features full zip front and raglan sleeves for easy movement; Misses approx, 26"I. 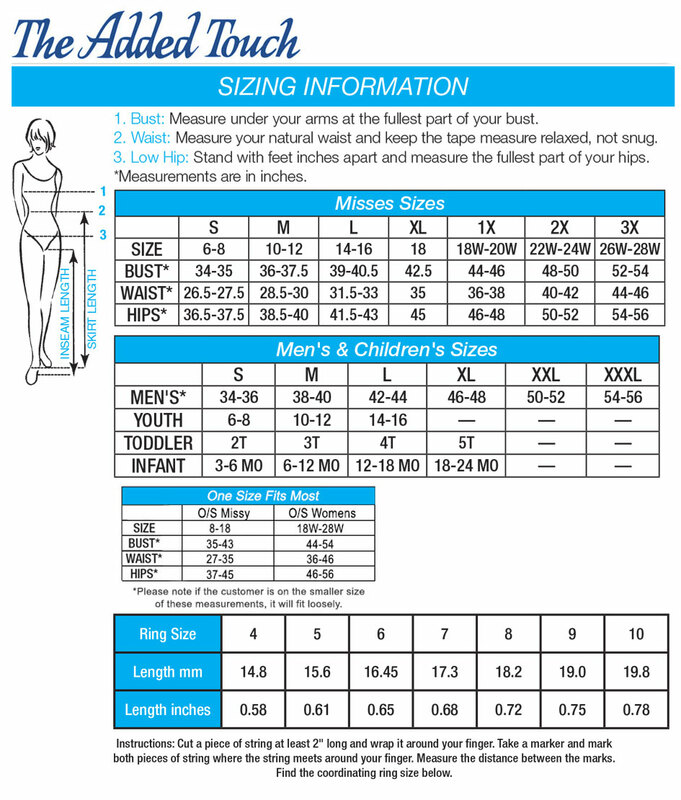 • Easy-fit pull on pants with elastic waistband and roomy legs; Misses inseam approx, 30" I. 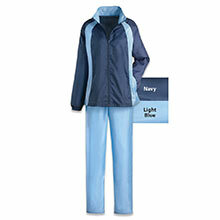 • Lightweight polyester packs compactly, a great traveler! Imported.